Star Wars The 80’s High School Years. Posted on August 16, 2012 by Big Red	in Geeky Booty and tagged DENIS MEDRI, DEVIENT ARTWORK, geeky, star wars, STAR WARS 80S HIGH SCHOOL RE-DESIGN, STAR WARS CONCEPTUAL ARTWORK, STAR WARS THEMED ARTWORK. 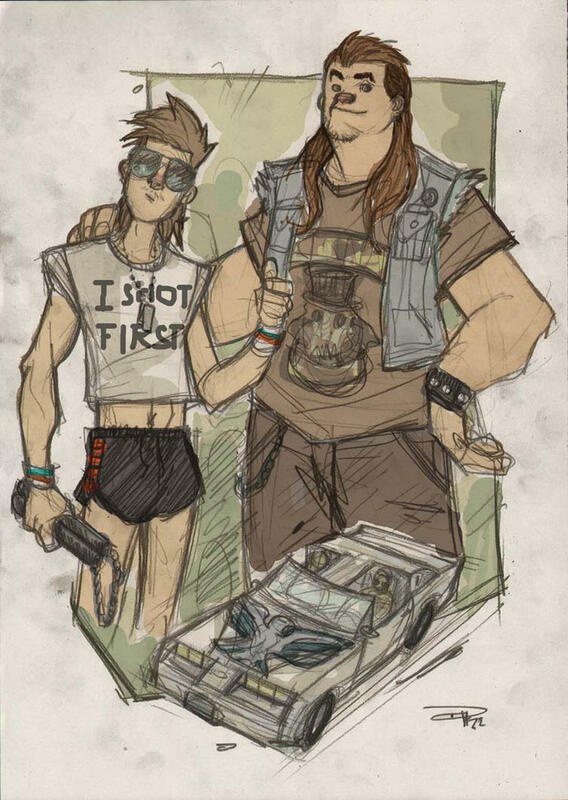 Metal-Heads Hand and Chewie with their beloved Millenium Falcon/Trans Am. Sweet baby Jesus’s face this collection of conceptual art needs to become a reality for the small screen. Italian artist Denis Medri has ingeniously re-imagined just how all the main Star Wars characters would be fleshed out if they were somehow transferred over into an 80’s High School TV show. The sheer genius of his work lies in the thought he’s taken to create believable and relatable characters, for example Obi Wan is now a history and literature’s teacher, Palpatine is the evil Principal, Vader is the high school bully who runs a motocross gang and Han and Chewie are a couple of metal-head slackers. You can view the entire collection and more of Medri’s amazing artwork by charting a course for HERE. 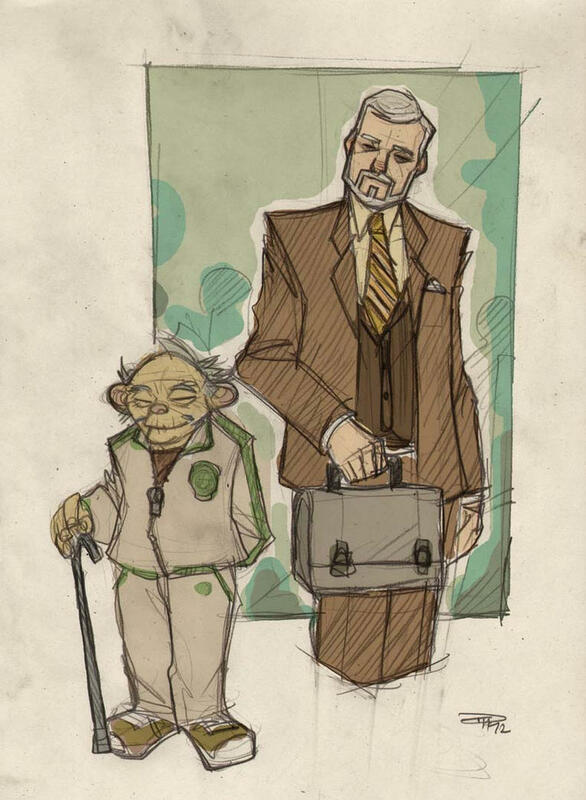 Yoda as an old sage asian Coach and Obi Wan as a history & literature teacher. 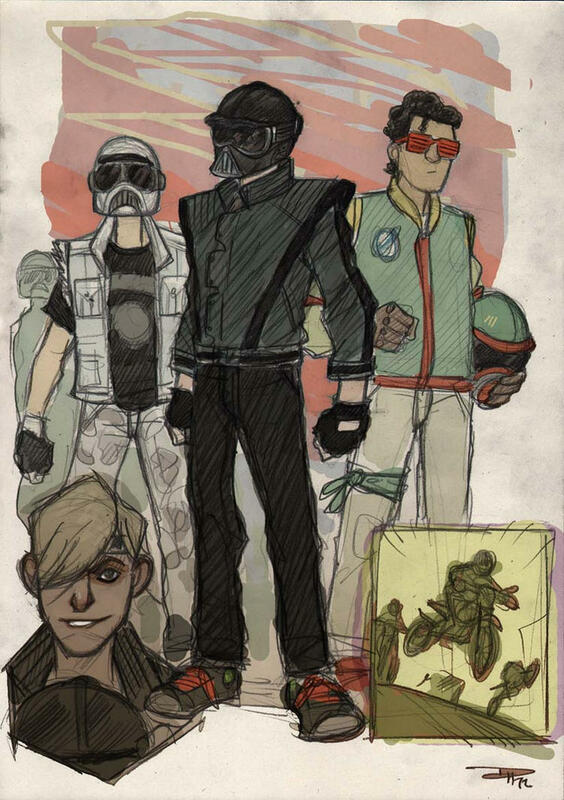 Vader and his Motocross gang. ← Avast! Trailer For Seven Psychopaths.